Theo Dirix. 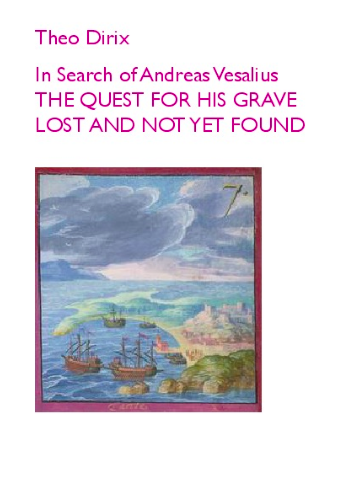 In Search of Andreas Vesalius – THE QUEST FOR HIS GRAVE LOST AND NOT YET FOUND (2018). ISBN: 978-161-627-251-7. In this sequel to In Search of Andreas Vesalius: The Quest for the Lost Grave (2014), diplomat and taphophile Theo Dirix documents the next phase of a mission to locate the grave of the father of modern anatomy. This collection of articles produced online and in journals between 2014 and 2017 is enclosed with chapters of a more personal nature, giving us insight into both the highlights and frustrations of Dirix’s journey. The Quest for His Grave, Lost and Not Yet Found is a tribute to both its subject, Vesalius, and to the tenacity of the team that continues to ensure that the story of the famed 16th-century Flemish anatomist is told accurately. About the Author: Theo Dirix’s stay in Greece from 2011 to 2015 was just one of seven diplomatic posts in a career that has spanned almost 30 years. He has never stopped writing travel stories (mainly about graves). As his wanderlust finally begins to fade, he may embark on a quest of a different kind – one in search of home. About The Author(s): Susan Merrill Squier is Brill Professor Emerita of Women’s, Gender, and Sexuality Studies and English at Pennsylvania State University. Her many books include Communities of the Air: Radio Century, Radio Culture and Liminal Lives: Imagining the Human at the Frontiers of Biomedicine, both also published by Duke University Press; Poultry Science, Chicken Culture: A Partial Alphabet; and, as coauthor, Graphic Medicine Manifesto. 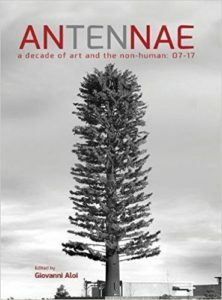 Since 2007, Antennae: The Journal of Nature in Visual Culture has been the international reference point of the non-human turn in the visual arts. This volume gathers the richest interviews and the most thought-provoking essays featured over its forty installments thus far published — it captures the first ten years of a truly historic moment in contemporary art and philosophical thinking. The non-human turn, which has so pronouncedly characterized the cultural discourses of the new millennium, is most definitely going to shape the course of our troubled future with the planet. Featuring the voices and work of some of the most influential artists and scholars involved in the subject of the non-human and visual cultures, this collection is an unorthodox reference point, a verbatim account of the main ideas and movements, and an archive of original documents indispensable to tracing the intersections and origins of anthropogenic discourses. 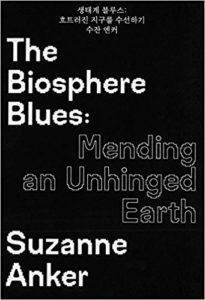 The Biosphere Blues: Mending and Unhinged Earth. Jaewook Lee, Yongdo Jeong. Publisher: O’NewWall Publication (2017). ISBN: 979-1187817024. For the first time in Korea, O’NewWall E’Juheon presents a solo exhibition by Suzanne Anker, a pioneer in Bio Art working at the intersection of art and the biological sciences. Joanna Ebenstein, Will Self (2017) “Death A Gravestone Companion”. (ISBN-10:0500519714, ISBN-13:9780500519714). Death is an inevitable fact of life. Throughout the centuries, humanity has sought to understand this sobering thought through art and ritual. The theme of memento mori informs medieval Danse Macabre, the Tibetan Book of the Dead, Renaissance paintings of dissected corpses and “anatomical Eves,” Gothic literature, funeral effigies, Halloween, and paintings of the Last Judgment. Deceased ancestors are celebrated in the Mexican Day of the Dead, while the ancient Egyptians mummified their dead to secure their afterlife. 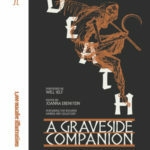 A volume of unprecedented breadth and sinister beauty, Death: A Graveside Companionexamines a staggering range of cultural attitudes toward death. The book is organized into themed chapters: The Art of Dying, Examining the Dead, Memorializing the Dead, The Personification of Death, Symbolizing Death, Death as Amusement, and The Dead After Life. Each chapter begins with thought-provoking articles by curators, academics, and journalists followed by gallery spreads presenting a breathtaking variety of death-related imagery and artifacts. From skulls to the dance of death, statuettes to ex libris, memento mori to memorabilia, the majority of the images are of artifacts in the astonishing collection of Richard Harris and range from 2000 BCE to the present day, running the gamut of both high and popular culture. Table of Contents 1. The Art of Dying 2. Examining the Dead 3. Memorializing the Dead 4. The Personification of Death 5. Symbolizing Death 6. Death as Amusement 7. The Dead After Life. Institutional Critique to Hospitality: Bio Art Practice Now. 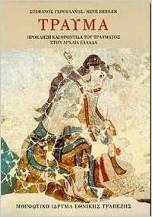 A critical anthology ed.by Assimina Kaniari, Athens: Grigori Publications, Art history and theory 5, 2017. Institutional Critique to Hospitality: Bio Art Practice Now brings together 13 texts by renowned art historians, art theorists and pioneering artists considering bio art’s contemporary relevance. 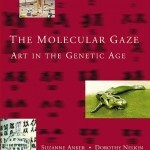 The first part of the book charts a transition in contemporary bio art practice concerned with a move away from Institutional critique into the idea of Hospitality: Kathy High provides an endearing account of ‘Bees and Microbes’, while Suzanne Anker reflects on ‘Three Blind Mice’. Marta de Menezes rethinks ‘Representation in Bio art’ while Pascale Pollier considers ‘The Fabric of Life’ with regard to Fabrica Vitae exhibition and Αggelos Antonopoulos makes a personal statement with regard to his own contribution to this exhibition. Ellen K. Levy thinks about ‘Emergence’ in the context of bio art, while Adam Zaretsky provides a critical commentary on contemporary artists’ engagement with bio art and Ioannis Melanitis an autobiographical one. In the second part of the book, the tension between these two notions and contexts is examined in a historical light: Martin Kemp discusses ‘Pros and a few Cons’ for ‘Artists in Labs’, while Assimina Kaniari considers early precedences of bio artists’ gestures in Leonardo’s Trattato. Robert Zwijnenberg examines the affinities between ‘Xenotransfusion and Art’, Gunalan Nadarajan writes on ‘Specters of the Animal’ and Irina Aristarkhova considers ‘the Art of Kathy High’ as a form of hospitality. The introduction to the anthology examines Institutional critique and Hospitality as ways of looking at and making sense of bio art today, but also as notions charting and accounting for transitions in art history in terms of artists’ engagement with living media – whether on a literal or metaphorical level. AK. In an era of fast-paced technological progress and with the impact of humans on the environment increasing, the concept of “nature” itself seems called into question. 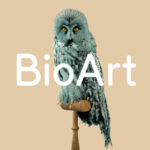 Bio Art explores the work of “bio artists,” those who work with living organisms and life processes to address the possibilities and dangers posed by biotechnological advancement. A contextual introduction traces the roots of bio artistic practice, followed by four thematic chapters: Altering Nature, Experimental Identity and Mediums, Visualizing Scale and Scope, and Redefining Life. 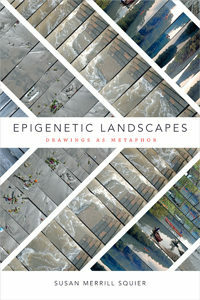 The chapters cover the key areas in which biotechnology has had an impact on today’s world, including ecology, biomedicine, designer genomes, and changing approaches to evolutionary theory, and include profiles of the work of sixty artists, collectives, and organizations from around the world. Interviews with eight leading bio artists and technologists provide deeper insight into the ideas and methods of this new breed of creative practitioners. 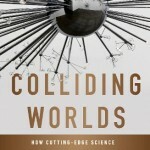 Tells the story of how artists, scientists and technologists are working together to create a new art movement. It is a journey behind the scenes into a bold new world and features a close look at the artists themselves: their creativity and what drives them, their struggles, and the drama of developing a new art form. Just like previous avant-garde art movements this one is up against a hostile art establishment intent on maintaining the status quo. Distrustful of science and technology and of how its products fit gallery norms, the art establishment remains mired in the last century. 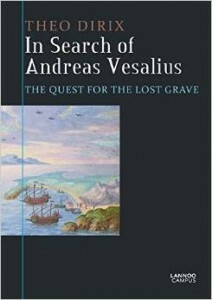 Andreas Vesalius did not die returning from Jerusalem on a deserted beach in the Ionian Sea, the only victim of a shipwreck. He did not travel to the Holy Land under pressure of the Inquisition, neither as penance nor escape: he went there as a devout pilgrim with the support of his employer. Weakened by his stay and by his unfortunate return journey, he died in Zakynthos where he was buried in the Santa Maria delle Grazie Church. Biomedical artist Pascale Pollier has long been searching for the bones of Andreas Vesalius. She was determined to make a facial reconstruction of her scientific and artistic muse. In 2011 she resonated with Theo Dirix, Consul at the Embassy of Belgium in Athens. What began as a poetic quest for the lost grave of the father of human anatomy, has evolved into a well documented fresh appraisal of some of the mysteries in the last months of the life of Andreas Vesalius, exactly 450 years after his death, 500 years after his birth. In their exciting search, Pascale and Theo have been advised and supported by the éminences grises of Vesalius Research: Omer Steeno, Maurice Biesbrouck and Theodoor Goddeeris, who found and rediscovered historical sources that erode many fairy tales about Vesalius’s biography. For more info about the book and the author, click HERE. As one of the Spanish representatives of the vanguard of figurative art, Valls’ work displays the strong influence of past masters and their studies of the human being. In the early ’90s, Valls began studying the use of egg tempera, adapting and customizing the techniques of Italian and Flemish masters from the fifteenth to seventeenth centuries to create new works in combinations of tempera and oil. His paintings elaborate and expand upon the methods of past masters, employing formal figurative techniques as the medium through which to explore the human psyche in a conceptual framework laden with profound psychological weight and symbolism. 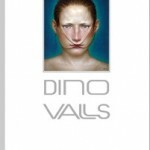 Valls has participated in important international exhibitions of contemporary art, and has held numerous showings in Europe and the United States. 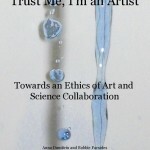 Trust Me, I’m an Artist: Towards an Ethics of Art and Science Collaboration” is a new book by Anna Dumitriu and Bobbie Farsides which investigates novel ethical issues arising through art and science collaboration and considers the roles and responsibilities of the artists, scientists and institutions involved. The book features projects by Adam Zaretsky, Neal White (cover image), Anna Dumitriu and Art Orienté objet (Marion Laval-Jeantet and Benoit Mangin). 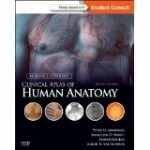 Imaging Atlas of Human Anatomy, 4th Edition provides a solid foundation for understanding human anatomy. Jamie Weir, Peter Abrahams, Jonathan D. Spratt, and Lonie Salkowski offer a complete and 3-dimensional view of the structures and relationships within the body through a variety of imaging modalities. Over 60% new images-showing cross-sectional views in CT and MRI, nuclear medicine imaging, and more-along with revised legends and labels ensure that you have the best and most up-to-date visual resource. In addition, you’ll get online access to 10 pathology tutorials (with another 24 available for sale) linking to additional images for even more complete coverage than ever before. In print and online, this atlas will widen your applied and clinical knowledge of human anatomy. The book: (1) features orientation drawings that support your understanding of different views and orientations in images with tables of ossification dates for bone development, (2) presents the images with number labeling to keep them clean and help with self-testing, (3) features completely revised legends and labels and over 60% new images-cross-sectional views in CT and MRI, angiography, ultrasound, fetal anatomy, plain film anatomy, nuclear medicine imaging, and more-with better resolution for the most current anatomical views, (4) reflects current radiological and anatomical practice through reorganized chapters on the abdomen and pelvis, including a new chapter on cross-sectional imaging, (5) covers a variety of common and up-to-date modern imaging-including a completely new section on Nuclear Medicine-for a view of living anatomical structures that enhance your artwork and dissection-based comprehension, (6) includes stills of 3-D images to provide a visual understanding of moving images, (7) provides free online access to 10 pathology tutorials – designed with the help of a recent medical student – illustrated with hundreds of pathological images to further develop your visual memory of anatomical structures and positions..
Map out all of the key structures of the human body with examples of real human dissections…and easily place them in a clinical context! 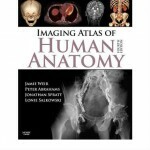 This popular atlas incorporates an unrivalled collection of cadaveric, osteological, and clinical images with surface anatomy models, interpretive drawings, orientational diagrams, and diagnostic images – emphasising a well-rounded visual perspective of a real human body as seen by modern doctors. 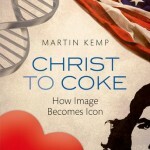 Christ to Coke is the first book to look at all the main types of visual icons. It does so via eleven supreme and mega-famous examples, both historical and contemporary, to see how they arose and how they continue to function. Along the way, we encounter the often weird and wonderful ways that they become transformed in an astonishing variety of ways and contexts. How, for example, has the communist revolutionary Che become a romantic hero for middle-class teenagers? The stock image of Christ’s face is the founding icon – literally, since he was the central subject of early icon painting. Some of the icons that follow are general, like the cross, the lion, and the heart-shape. Some are specific, such as the Mona Lisa, Che Guevara, and the famous photograph of the napalmed girl in Vietnam. The American flag, the “Stars and Stripes”, does not quite fit into either category. Modern icons come from commerce, led by the Coca-Cola bottle, and from science, most notably the double helix of DNA and Einstein’s famous equation E=mc2. The stories, researched using the skills of a leading visual historian, are told in a vivid and personal manner. Some are funny; some are deeply moving; some are highly improbable; some centre on popular fame; others are based on the most profound ideas in science. The diversity is extraordinary. There is no set formula, but do the images share anything in common? So famous are the images that every reader is an expert in their own right and will be entertained and challenged by the narratives that Martin Kemp skilfully weaves around them. The Author, Martin Kemp, talks about his book HERE. Drawing on the remarkable holdings of the Wellcome Collection in London, The Art of Medicine offers a unique gallery of rarely seen paintings, artifacts, drawings, prints, and extracts from manuscripts and manuals to provide a fascinating visual insight into our knowledge of the human body and mind, and how both have been treated with medicine. This fascinating exploration of Leonardo da Vinci’s life and work identifies what it was that made him so unique, and explains the phenomenon of the world’s most celebrated artistic genius who, 500 years on, still grips and inspires us. Martin Kemp offers us exceptional insights into what it was that made this Renaissance man so special, and the ‘real’ meaning behind such masterpieces as the Mona Lisa and the Last Supper. Tracing Leonardo’s career in all its variety, we learn of his unfulfilled dreams, relationships with powerful patrons, and the truth about his views on God, humans, and nature. The famous notebooks are the key to understanding the secret of Leonardo’s success and genius, as they clearly reveal the workings of his mind and display the true innovative and investigative nature of his creative vision. Over 20,000 pages of drawings and notes detail his incredible discoveries and inventions – from the workings of the human eye to designs for flying machines and giant crossbows. Bringing the story up to the present day, Martin Kemp considers what he means to us today, investigates the ‘Leonardo industry’, and speculates about what he would be doing if he were alive today. 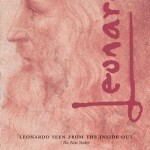 This updated edition of Martin Kemp’s best-seller is the first book on Leonardo to include two newly discovered works, the most important such discoveries in over a hundred years.For more info about the book and the Author, click HERE. A unique publication and exhibition on the history of medicine: In the autumn of 2010, the Martin Bodmer Foundation (Geneva) organized a unique exhibition on the history of medicine. From Antiquity to the 17th century, 250 items chronicled major developments from a historical and scientific perspective. Step by step, the exhibition followed the path of knowledge as it was formed by a large variety of contacts and influences. The organization of the exhibition was entrusted to Dr. Gérald d’Andiran, Curator and Editor, and to Professor Charles Méla, Director of the Foundation, with the support of Professors Vincent Barras and Bernardino Fantini. From medicine as it was practised in Ancient Egypt, the exhibition illustrated the Greek origins of the medical art and how knowledge was transmitted through Nestorians, Jews and Arabs. Manuscripts dating from the 8th and 9th centuries suggest an autonomous monastic medical tradition. The medieval herbals and the treatises on Theriaca confirm the close attachment to nature. The hand, exalted in a philosophical text by Galen, becomes a symbol of harmony and knowledge. In the Middle Ages, antique concepts and the erudition of learned men let Hippocrates coexist with astronomy (zodiacal man, astrolabe) and alchemy. The medieval development accompanies the humanist renewal of the 12th century and the writings of Hildegard von Bingen, exalting the soul. It also underlines the social dimension of the Hôtel-Dieu. In parallel with the science of proportions, the reinvented anatomy becomes an expression of beauty. This is followed by the generalisation of manuscripts, the development of surgery and clinical teachings, and the scientific contributions from the 14th to the 17th century. Asia also forged its paths of medicine, with acupuncture and ayurvedic therapy. Thirty documents, never presented before, included “wishes for health and long life” (Ming dynasty) and a scroll with the calligraphy of the Buddhist healer’s name, Yakushi Bhaisajyaguru. Among prestigious foreign partners, we mention the British Library and the Wellcome Library (London), the Bodleian Library (Oxford), the Bibliothèque nationale de France and the Musée du Louvre (Paris), the Biblioteca apostolica Vaticana, the Biblioteca Medicea Laurenziana (Firenze), and the National Library of Sweden (Stockholm). The catalogue contains notes from 98 international contributors. 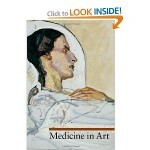 This abundantly illustrated volume offers an exploration of the depictions of illness and healing in Western artworks that range from Egyptian wall carvings to medieval manuscripts, and from paintings and sculpture by the great masters of the Renaissance such as Michelangelo and Leonardo da Vinci to twentieth-century artists such as Matisse and Magritte. 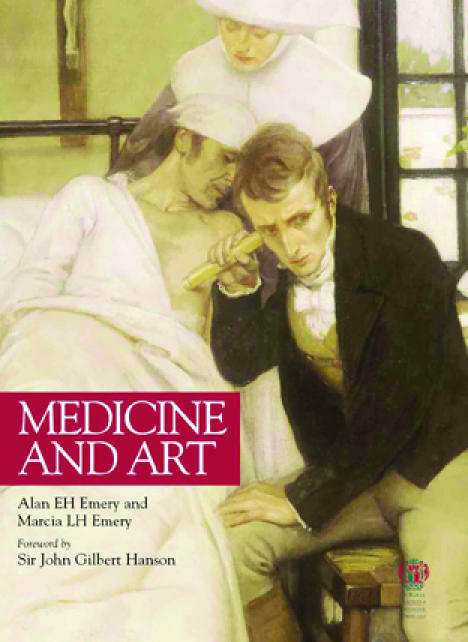 Thematic chapters cover the examination of patients and their various maladies including disabilities and mental illnesses; healing and medical treatments; and the sufferings of patients and their hopes for cures and recovery. Psychological anguish—as represented in The Expulsion of Adam and Eve by Masaccio and Munch’s The Scream—is treated along with the physical manifestations of pain. 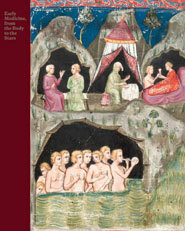 This volume, the seventeenth in the popular Guide to Imagery series, offers analyses by both an art historian and a practicing physician who comment, respectively, on the cultural context in which specific artworks were created and the level of technical knowledge available at that time, an approach that makes for a fascinating look at a topic that has figured frequently in the Western artistic tradition. 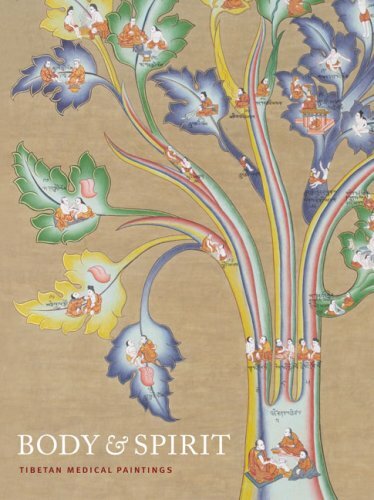 Body and Spirit: Tibetan Medical Paintings is a beautifully produced catalogue to accompany the identically named exhibition at the American Museum of Natural History to be held in New York in 2011. 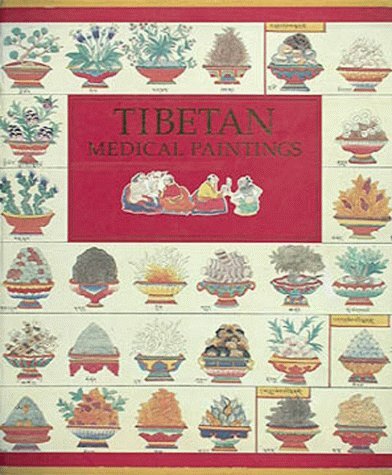 At its core are colour reproductions of the entire set of seventy-nine copies of Tibetan medical paintings crafted by the Nepalese artist Romeo Shrestha and his group in the early 1990s in Kathmandu. 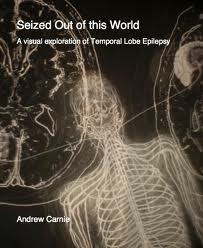 Temporal Lobe Epilepsy, TLE, has affected many creative individuals and is thought to be the source of much artistic inspiration. Artists like Vincent Van Gogh and Fydor Dostoevsky are just two such significant creative people. The electrical storms associated with this condition are considered to cause a kind of cross-pollination of ideas between different functional areas of the brain, giving the artists extraordinarily insightful visions, which feed into their creative practice. Much of the work and research that exists is visual leading to a goldmine of information for an artist like myself interested in the visual and the underlying neurological condition. Seized, is a time-based work using three pairs of projectors which explores the subject of TLE. Each pair of projectors projects images onto three semitransparent screens set between the projectors. In each pair images rise from one projector and then dissolve into images from the second projector. Each set of projectors works through its slide sequence independently from the other pairs showing primarily the same sequence of images with some variations. The same images will be seen at one time or another on all the screen sets but rarely at the same time. The sequences within the time-based work ‘Seized Out of this World’, deal with particular elements of Temporal Lobe Epilepsy as described in Geschwind Syndrome which is a personality syndrome consisting of symptoms such as circumstantiality, excessive verbal output, hypergraphia, writing or drawing a lot, altered sexuality, often hyposexuality, but it can be hypersexuality, an intensified mental life, deepened cognitive and emotional responses, hyper-religiosity and or hyper-morality. 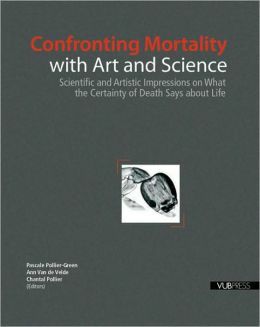 A rare entry into the nexus of science and art, this thought-provoking exploration introduces the ongoing research by scientists and artists into the fascinating subject of death and mortality. The unique practices of medical and scientific artists share a desire to piece the world together using the power of representational drawing. Their common belief that to draw is to see seeks to answer the riddles of mortality through the cultivation of their art, and what begins as an exploration of death ultimately becomes a celebration of life. This collection presents an introduction to the front lines of medical and scientific art, elaborating upon the ethos of their movement, and showcasing some of their greatest discoveries. Contemporary visual and performance artists have adopted modern medical technologies such as MRIs and computer imaging—and the bodily access they imply—to reveal their limitations. In doing so they emphasize the unknowability of another’s bodily experience and the effects—physical, emotional, and social—of medical procedures.In The Scar of Visibility, Petra Kuppers examines the use of medical imagery practices in contemporary art, as well as different arts of everyday life (self-help groups, community events, Internet sites), focusing on fantasies and “knowledge projects” surrounding the human body. Among the works she investigates are the controversial Body Worlds exhibition of plastinized corpses; video projects by Shimon Attie on diabetes and Douglas Gordon on mental health and war trauma; performance pieces by Angela Ellsworth, Bob Flanagan, and Kira O’Reilly; films like David Cronenberg’s Crash and Marina de Van’s In My Skin that fetishize body wounds; representations of the AIDS virus in the National Museum of Health and on CSI: Crime Scene Investigations; and the paintings of outsider artist Martin Ramírez.At the heart of this work is the scar—a place of production, of repetition and difference, of multiple nerve sensations, fragile skin, outer sign, and bodily depth. Through the embodied sign of the scar, Kuppers articulates connections between subjective experience, history, and personal politics. Illustrated throughout, The Scar of Invisibility broadens our understanding of the significance of medical images in visual culture.Petra Kuppers is associate professor of English at the University of Michigan, Ann Arbor, and the author of Disability and Contemporary Performance: Bodies on Edge. 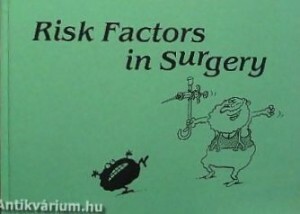 For more info about the author, click HERE. An overview of textile art spanning 15 centuries, Textiles in the Art Institute of Chicago takes the reader on a tour of 87 masterworks selected to demonstrate the breadth and splendor of this comprehensive collection. 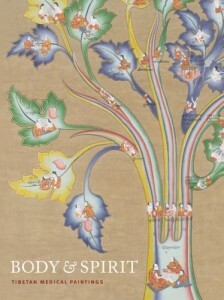 Full-color illustrations reveal the richness and superb craftsmanship of tapestries, panels, vestments, and other choice pieces, while commentaries explain the particular techniques involved and the use intended for each piece. 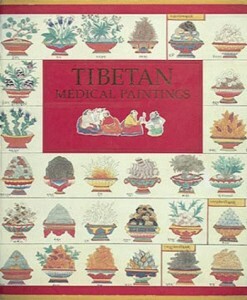 Among the book’s highlights are a selection of French and English silks, printed textiles from the 18th and 19th centuries, early American works, a wall hanging designed by Edward Burne-Jones and William Morris, designs by Frank Lloyd Wright and the noted Italian designer Fortuny; and a glossary which defines complex technical processes in terms understandable to the layman. 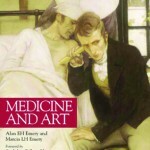 This book includes a collection of medical literature, as well as artwork from the Pre-Hippocratic period to twentieth-century science. 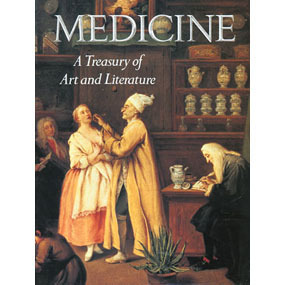 It delves into traditional medicine during Ancient times, Medieval period, Renaissance, and Enlightenment, and it also examines modern medicine from the early nineteenth century to the late twentieth century. 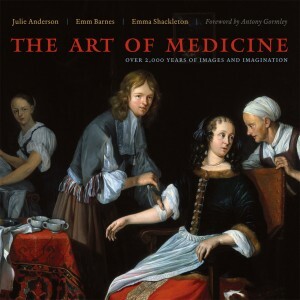 Medicine: A Treasury of Art and Literature incorporates artwork by Rembrandt and Norman Rockwell, among others, to showcase the relationship between medicine and art. 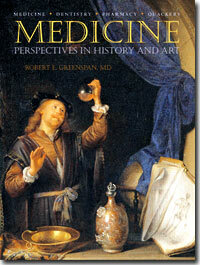 Commentaries and essays are provided by physicians, patients, historians, and writers about various medical treatises.